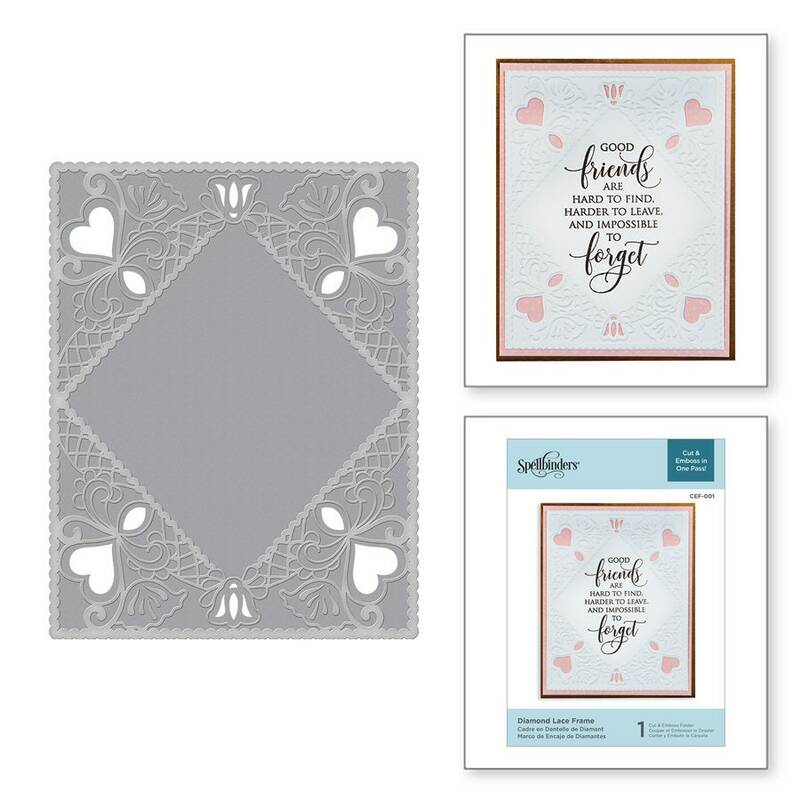 Diamond Lace Frame Cut and Emboss Folder is an embossing folder with etched dies embedded inside to cut and emboss in one pass. Everything is done for you! 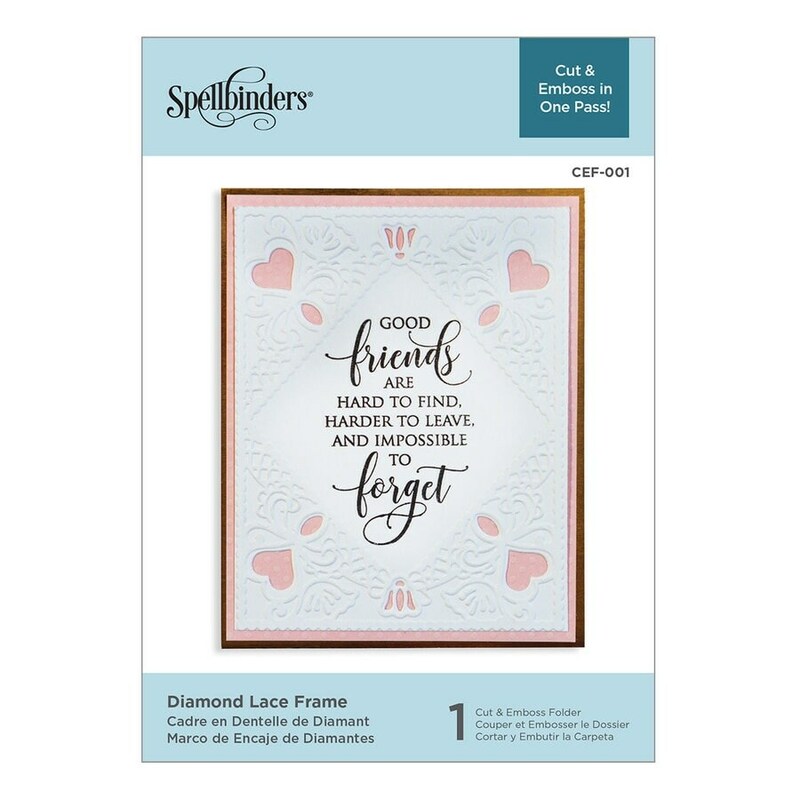 Fits an A2-sized (4.25 x 5.5 in.) 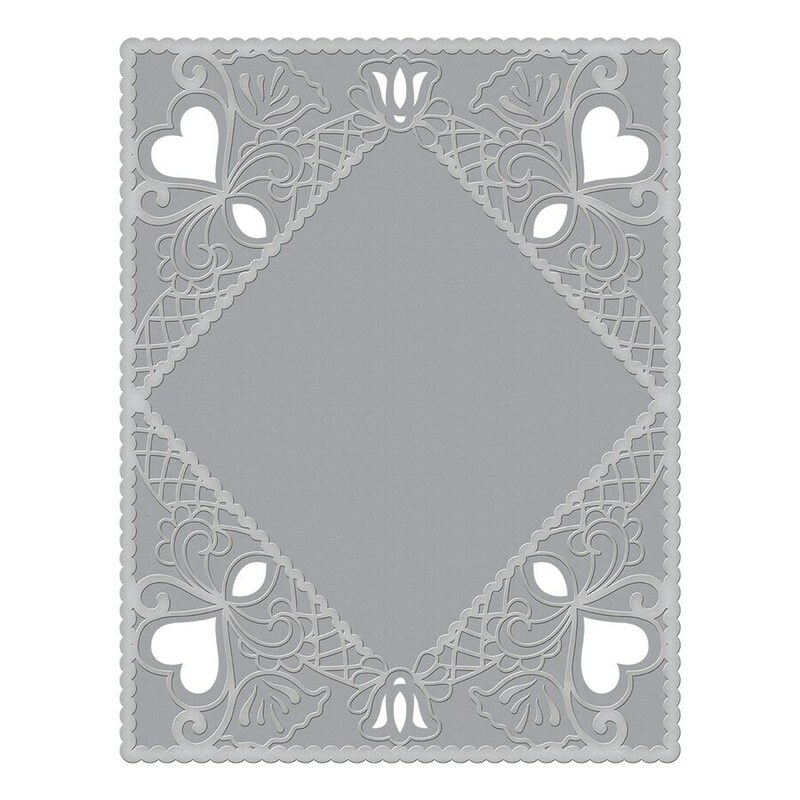 card front.